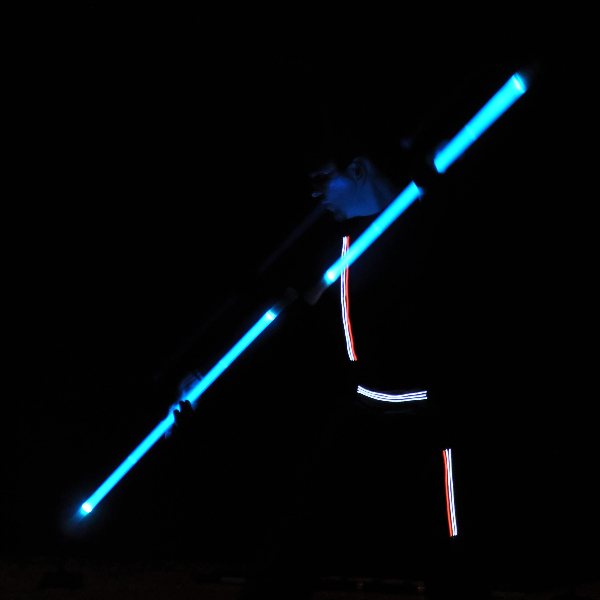 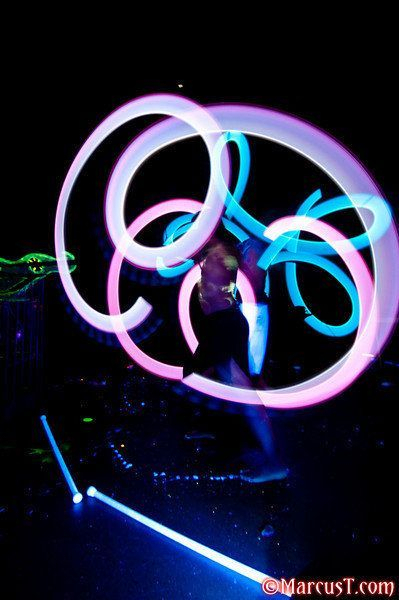 Featuring props such as poi, levi-stick, fans and glowing costumes, glow performers are an exciting addition to your event. 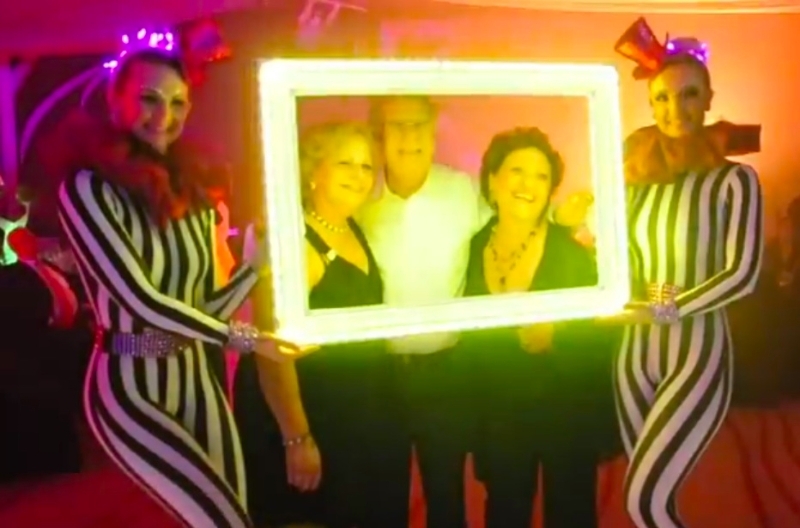 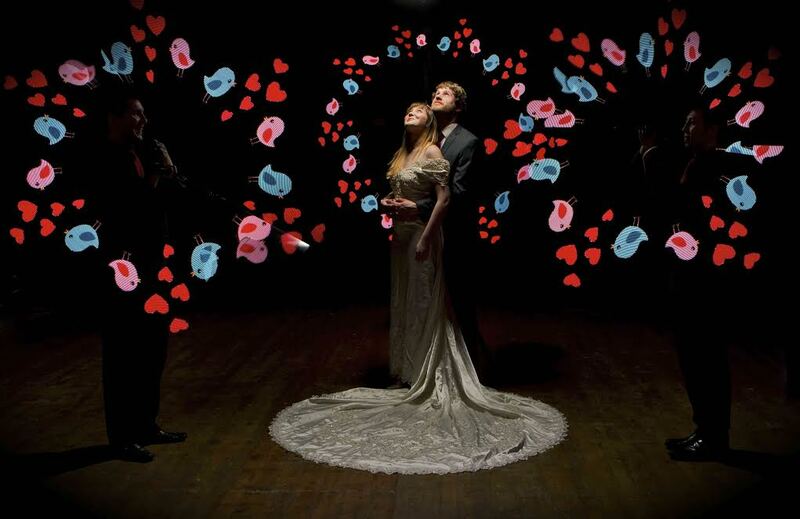 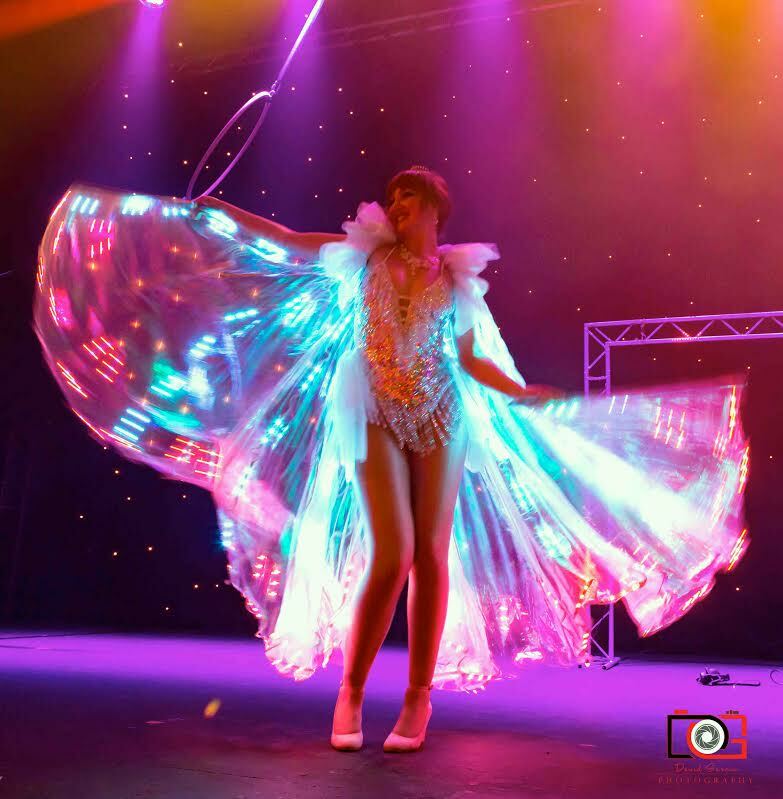 Enjoy a fully choreographed glow show onstage or an interactive dancer or glowing stiltwalker. 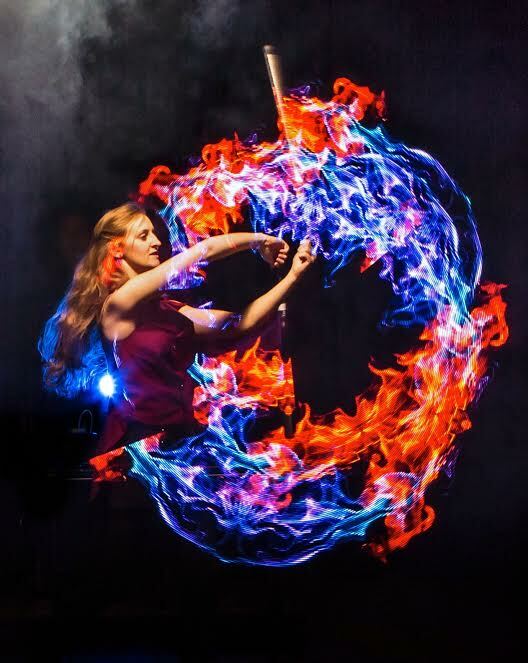 Our poi performers have spinning props that can be programmed with custom logos, initials and images (see the gallery below for examples). 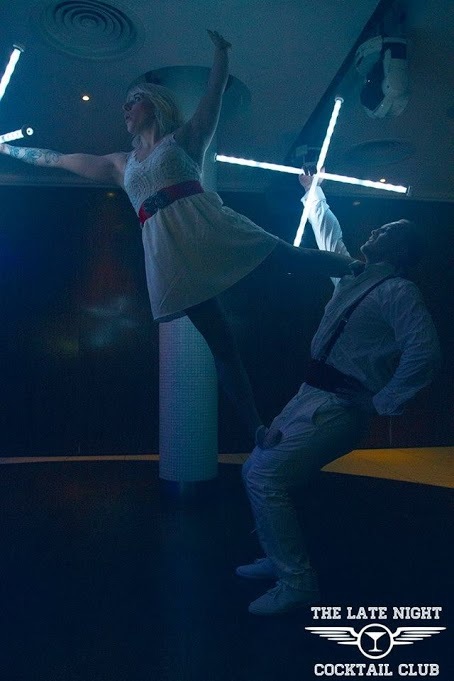 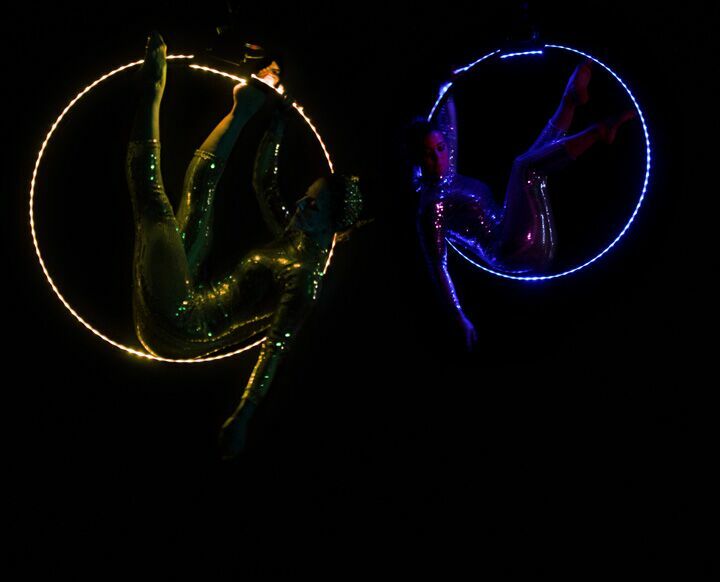 We even have an aerial glow show and glow acrobatics. 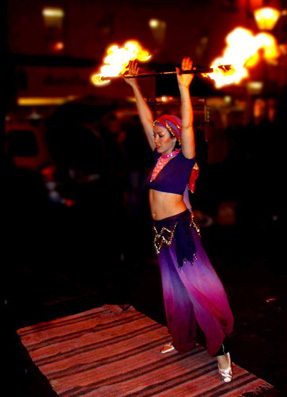 For Middle Eastern and Around-the-World theme events, we have LED glow tanoura performers. 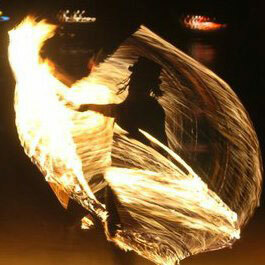 Tanoura is a colourful dance that developed from the devotional whirling practice of Sufis (eg. 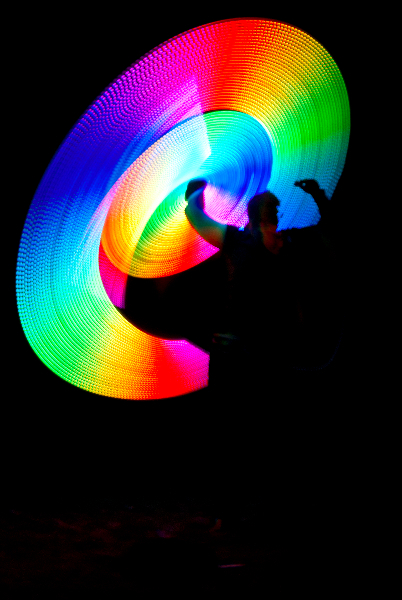 “whirling dervishes”). 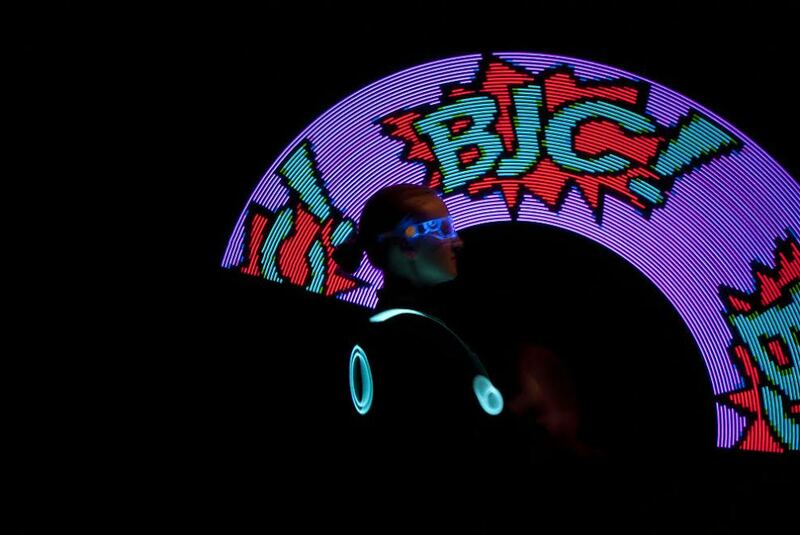 In the glow version of the act, the artist does a whirling trance-dance in a light-up costume. 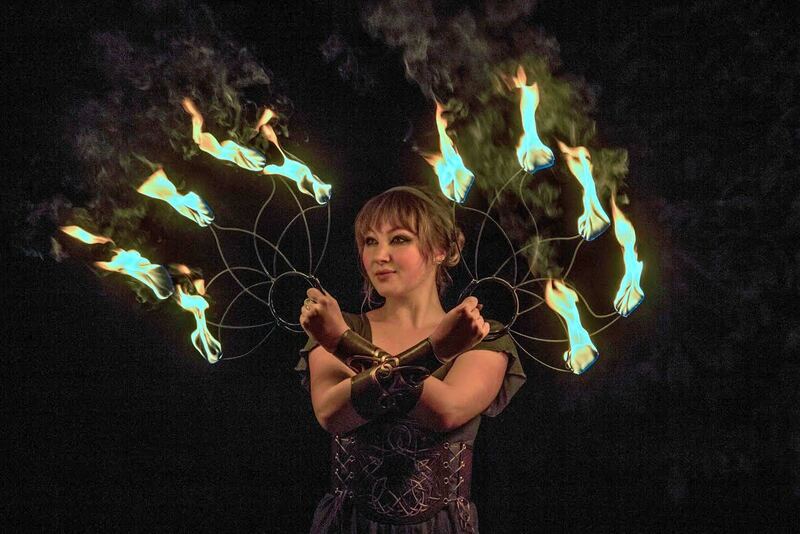 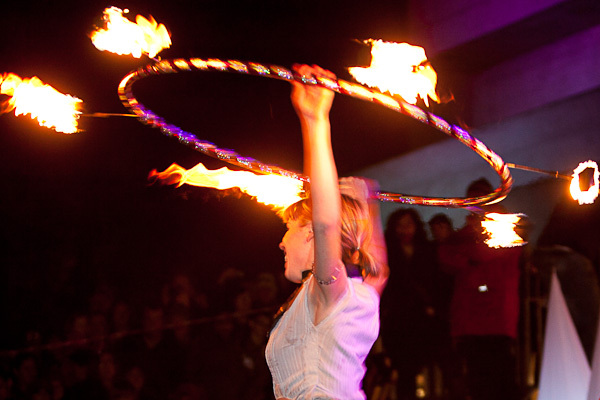 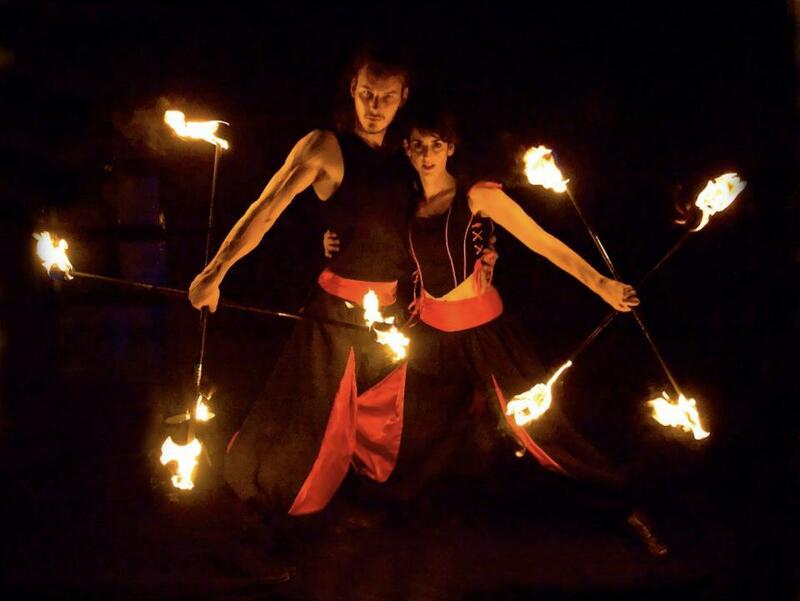 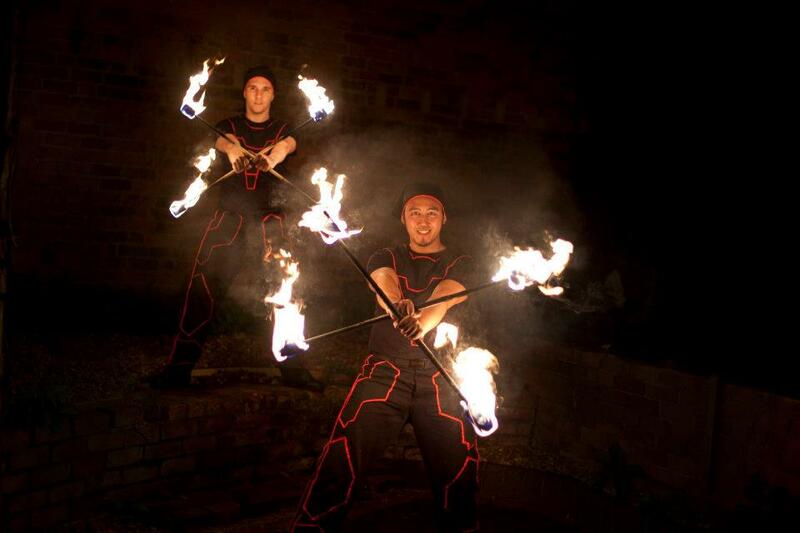 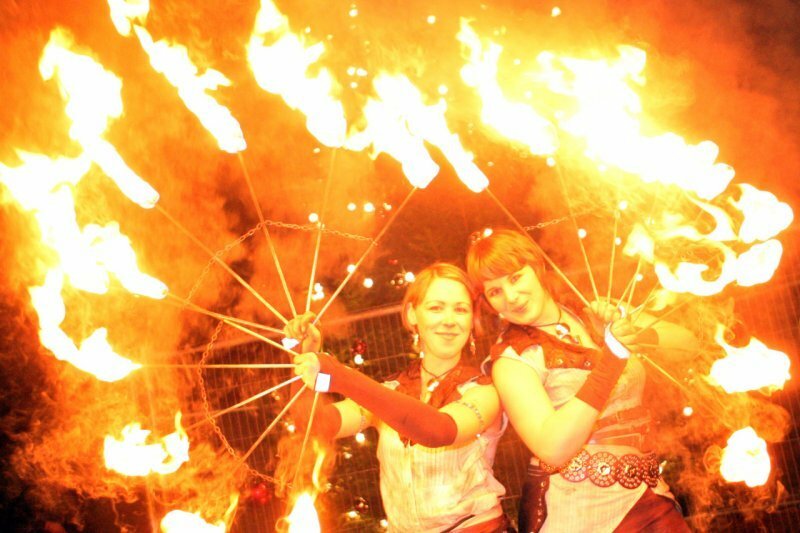 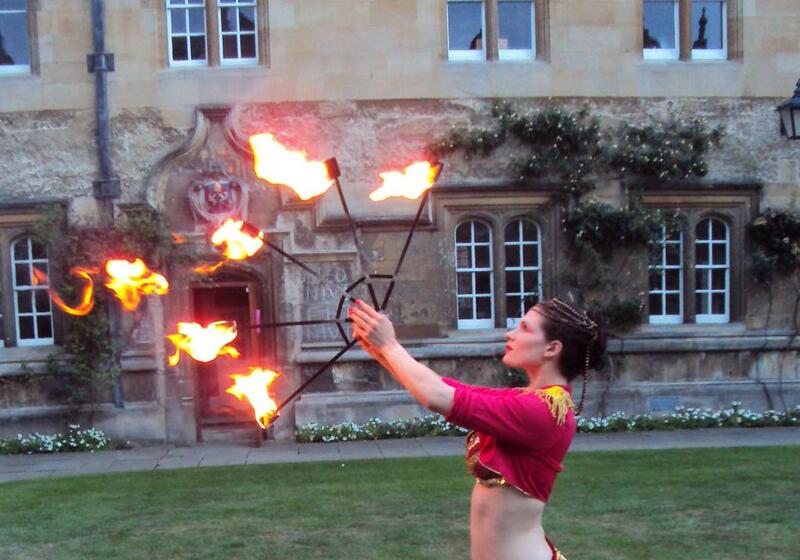 Our fire performers give an exciting show guests will be talking about for months to come! 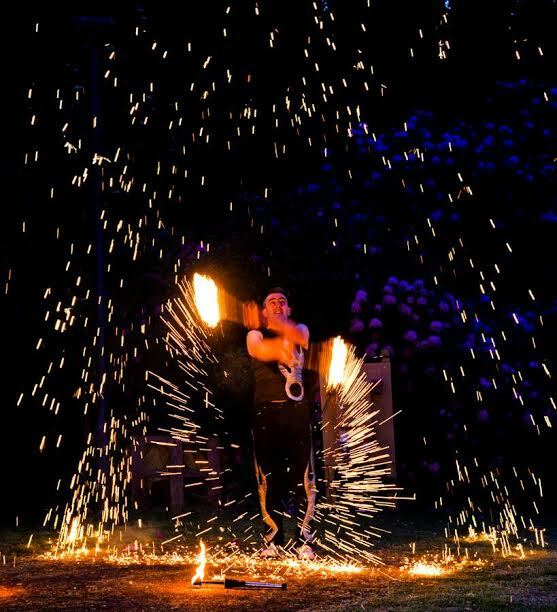 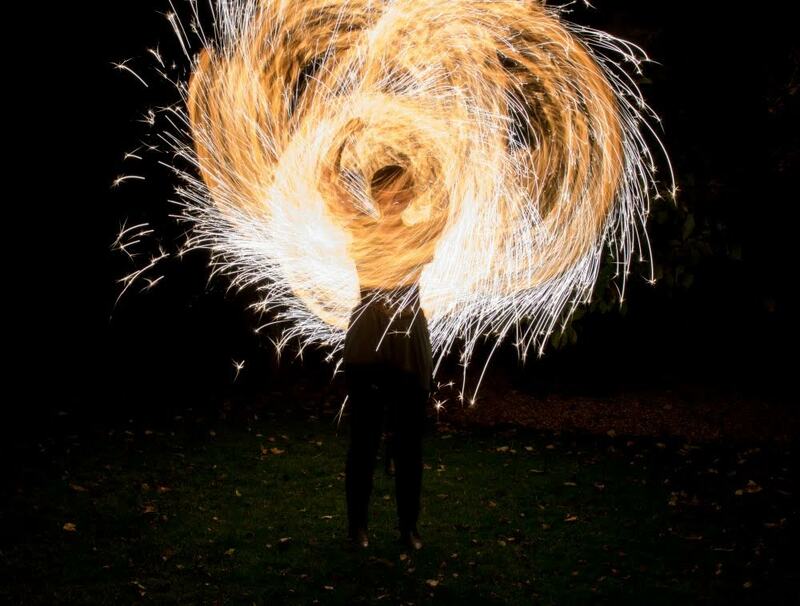 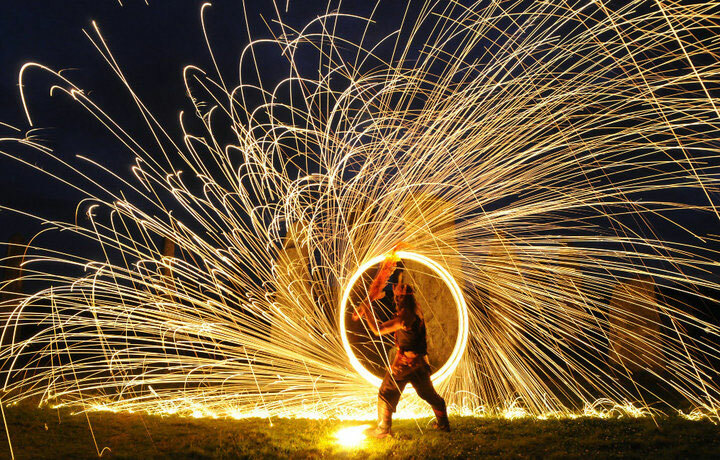 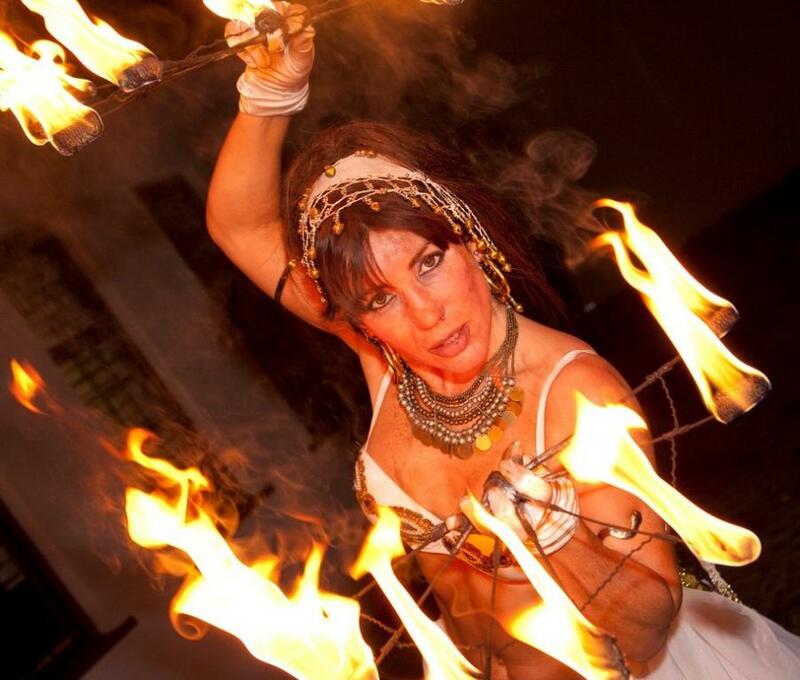 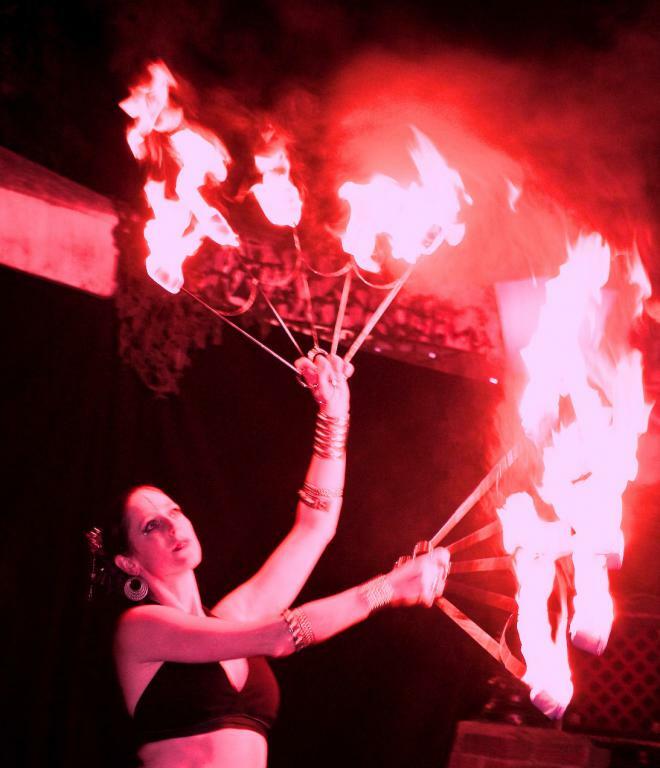 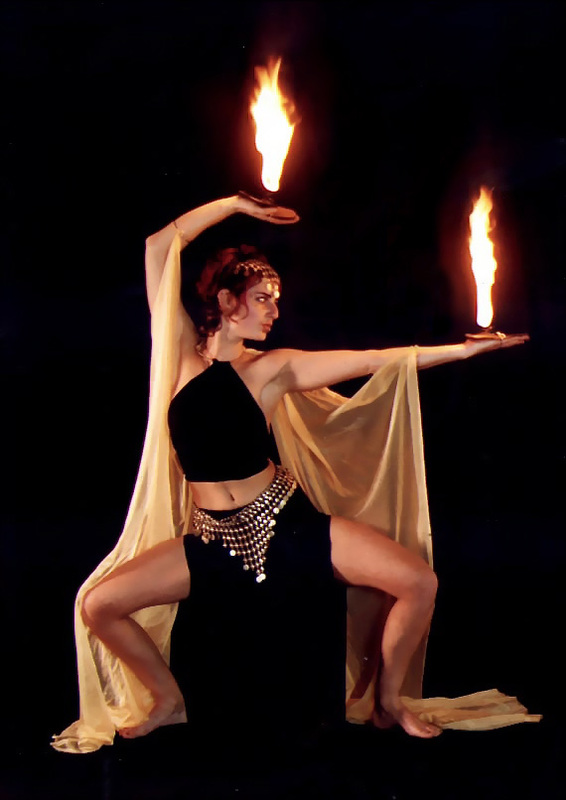 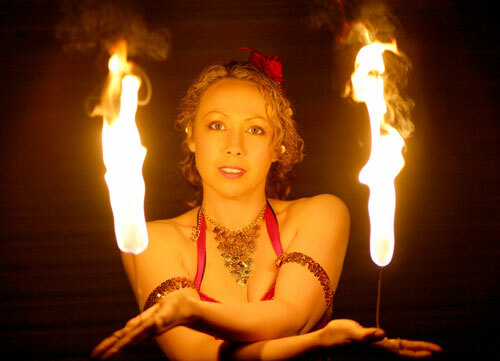 Fire dancers may perform solo, as a duo or as a troupe and their talents include poi (fire spinning), coal poi, rope dart, fire staff, fire fans, fire scimitar, orbs, palm candles, fleshing, vapor tricks, fire eating, fire breathing, pyrotechnics, and bellydancing with fire. 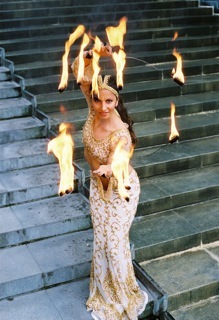 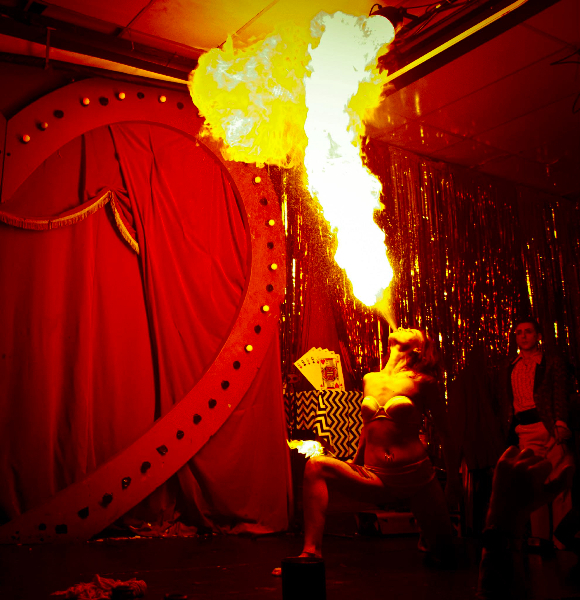 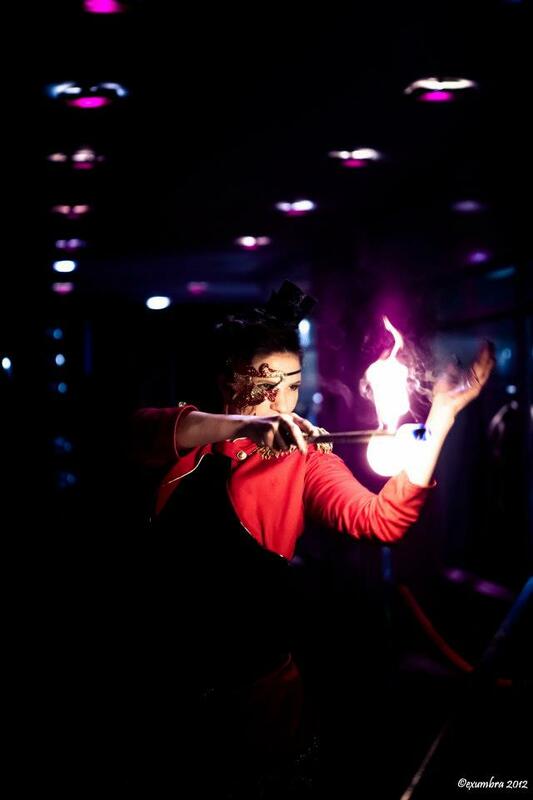 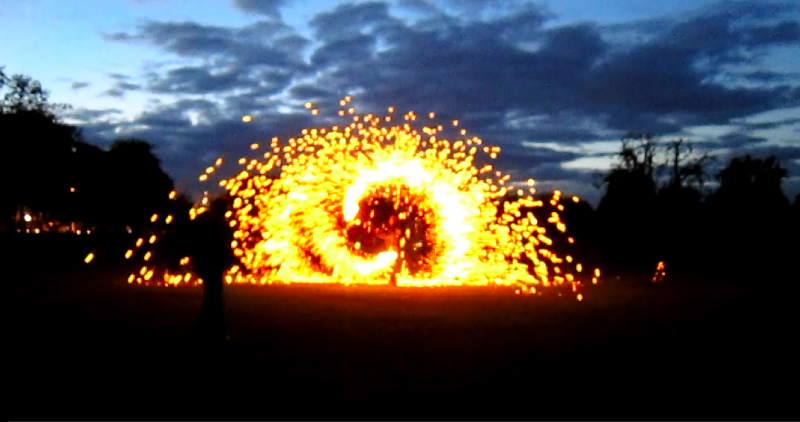 Fire artists may perform near an entrance as guests arrive, perform a stage show, or give a longer “ambient” show as a backdrop for the party. 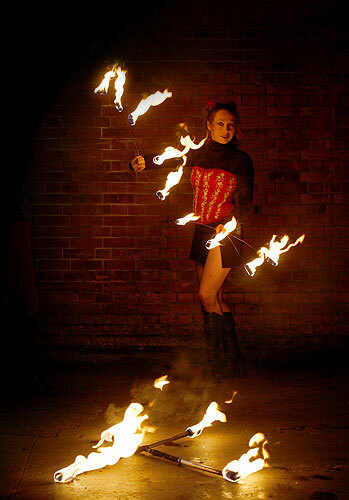 If your venue is not suitable for fire you may find what you’re looking for in our LED glow shows. 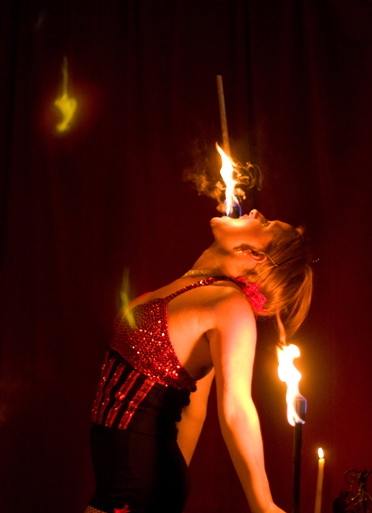 A glow show is perfect for venues such as nightclubs where an indoor fire act may not be feasible. 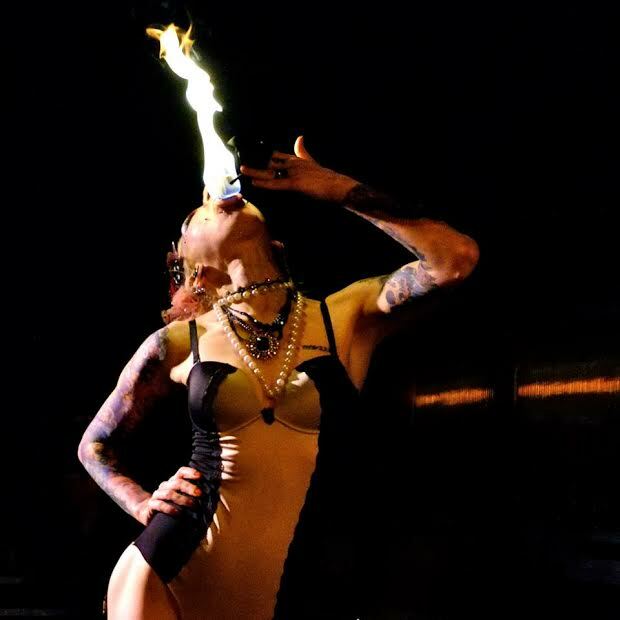 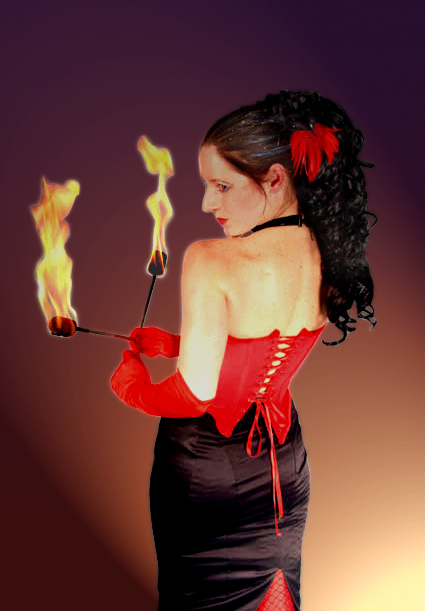 Shows range from family-friendly shows to more adult-oriented acts such as burlesque fire-sttriptease. 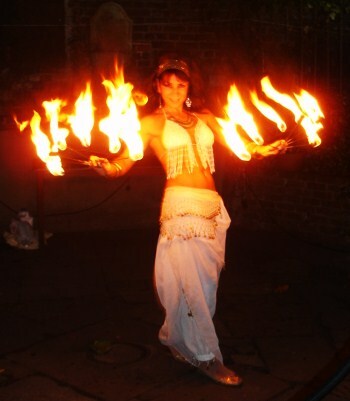 Popular themes include Middle Eastern (including bellydancing with fire), futuristic, Alice in Wonderland, psychedelic, Bollywood, cabaret, burlesque, carnival, circus, sideshow, Wild West, fantasy/sorceress, rock/metal, fetish, science fiction, Venetian masquerade, rave, demon/devil, Bonfire Night and Heaven-and-Hell. 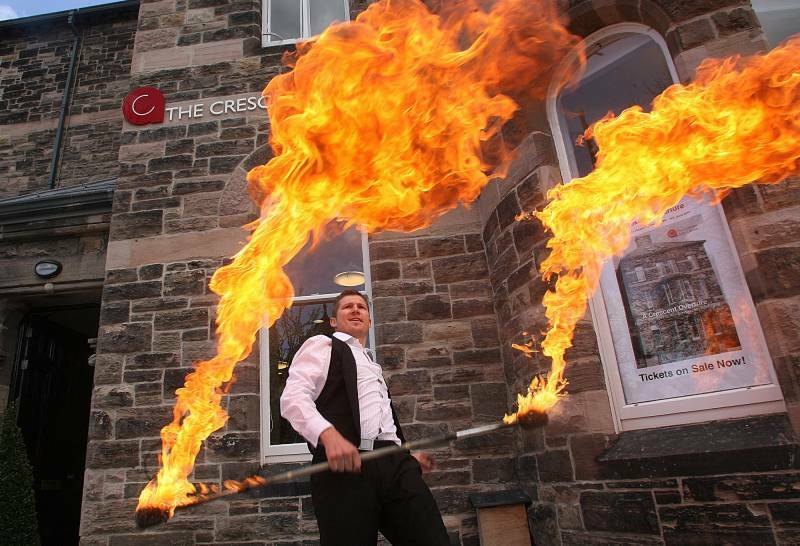 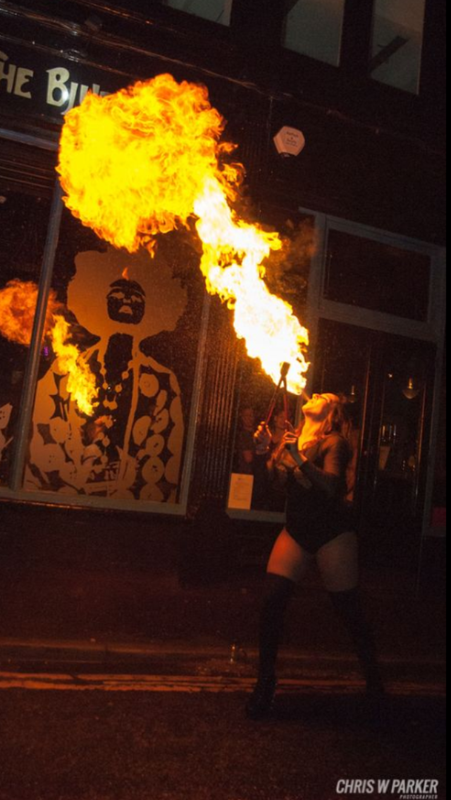 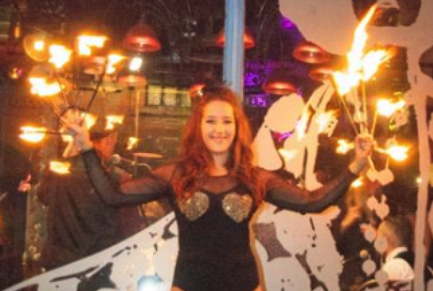 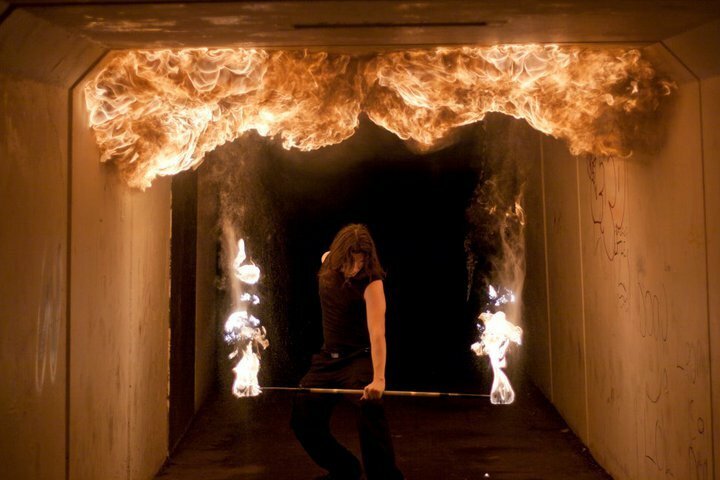 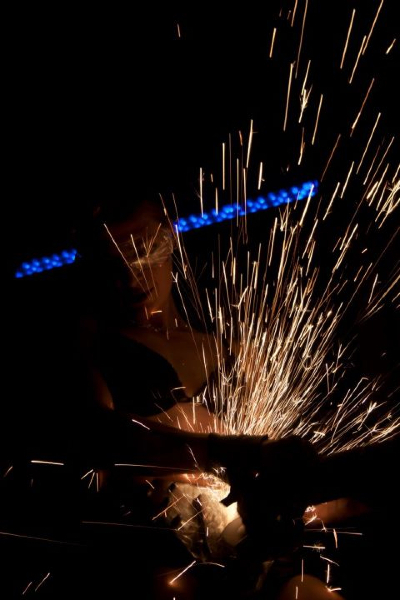 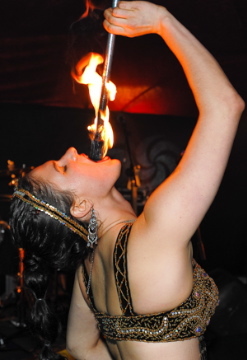 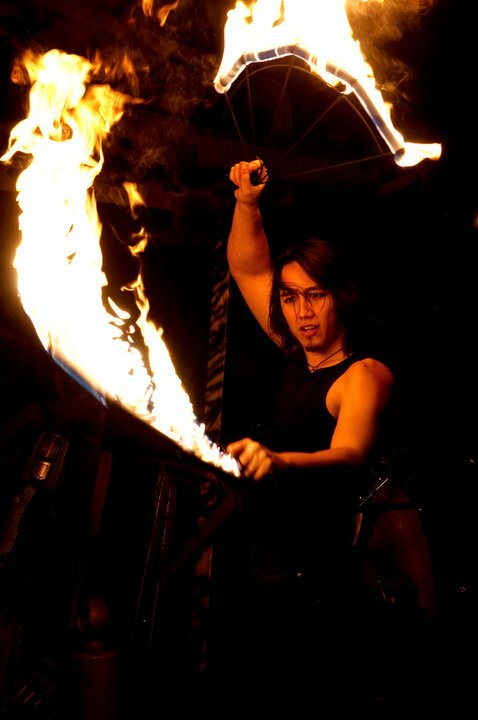 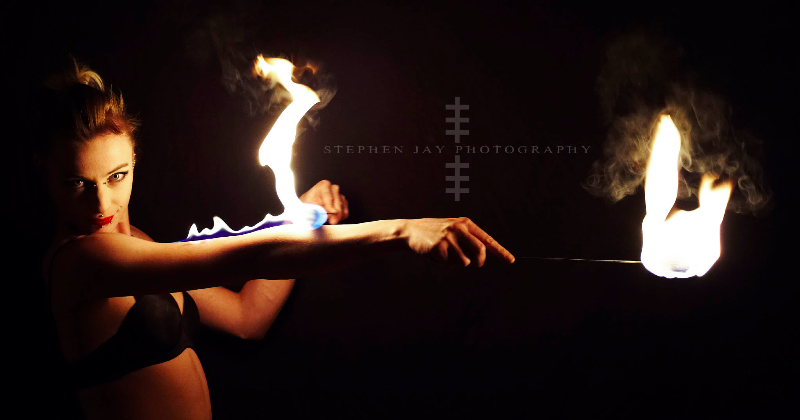 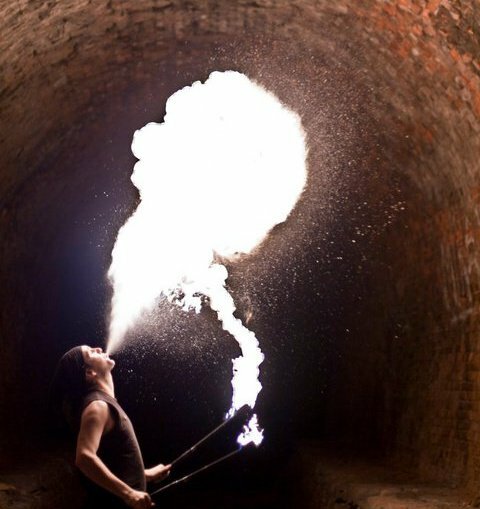 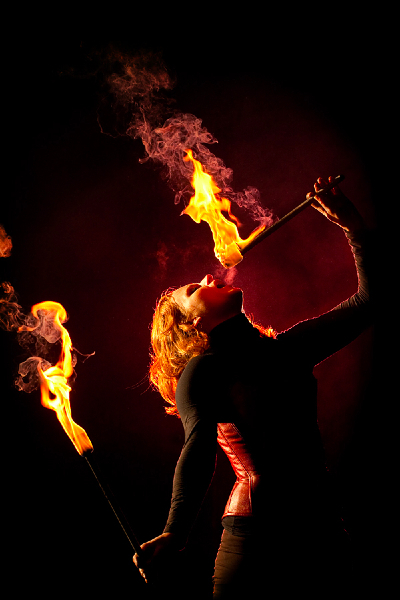 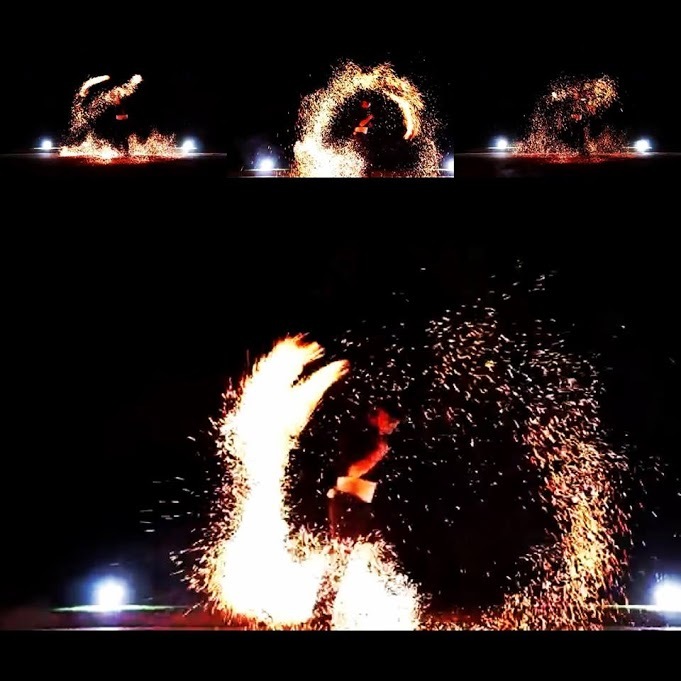 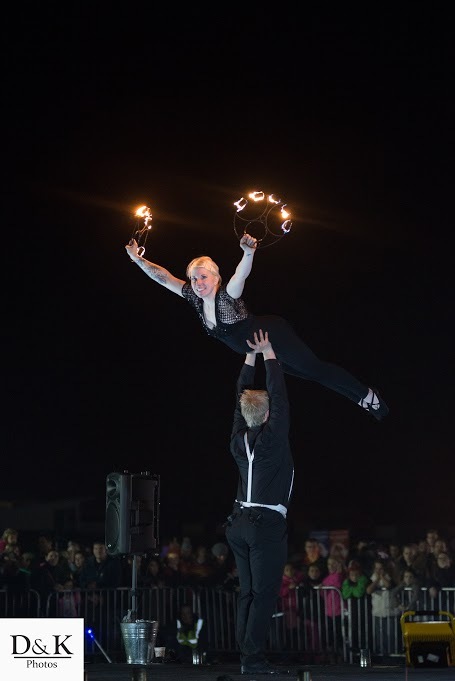 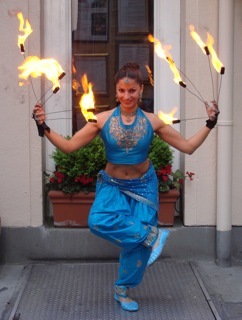 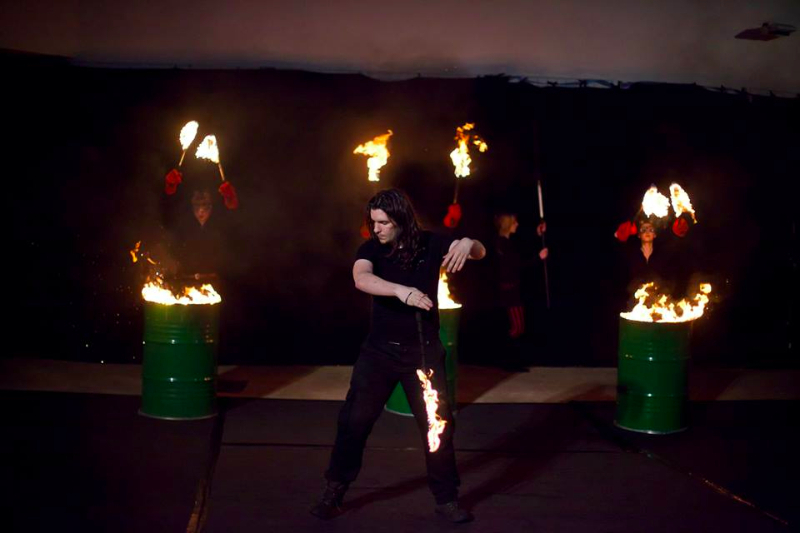 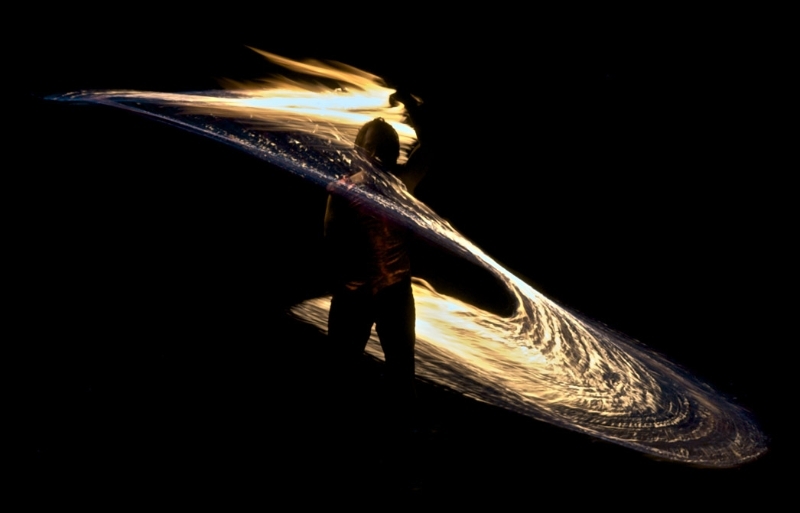 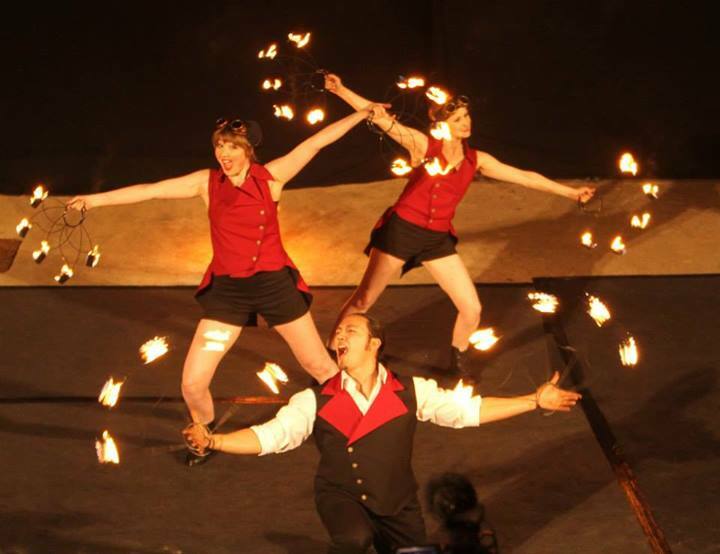 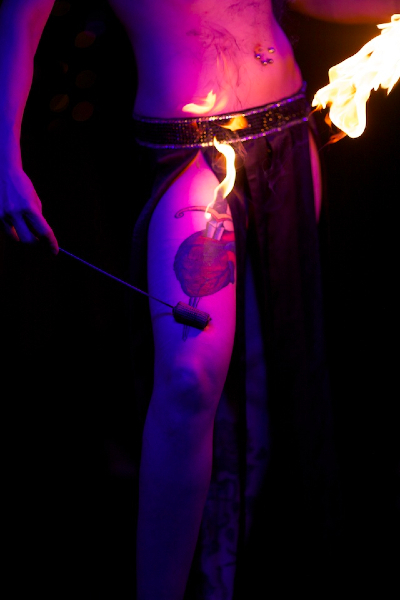 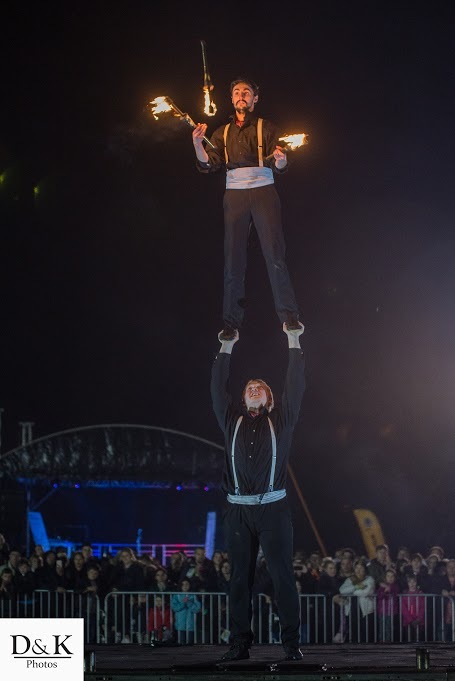 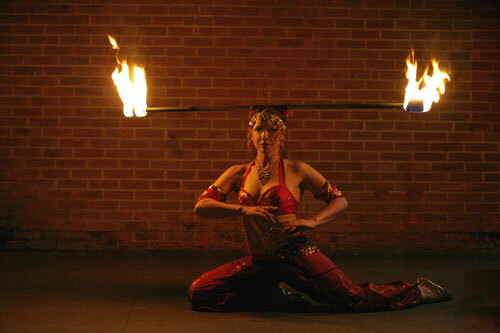 All fire performers are experienced professionals with public liability insurance.